Washington D.C. — Progressives have charged into the Democratic Party and run for dozens of congressional seats this year. But the first comprehensive study of the results reveals that almost all of their primary victories have been in heavily Republican districts, where they were uncontested by the Democratic Party establishment. Only a handful of progressive candidates have won in reliably Democratic districts and are likely to win this November. The media’s coverage of Alexandria Ocasio-Cortez has left out the fact that Joe Crowley is the only congressional Democratic incumbent to have lost a primary this year. That means that even if Democrats do well this November, the blue wave will consist of establishment Democrats and Congress will look almost the same next year. Our Revolution, Justice Democrats, Brand New Congress, and the Democratic Socialists of America — the leading progressive organizations attempting to reform the Democratic Party — endorsed 53 congressional candidates in states that have held their primaries so far. Twenty-one of them have won their Democratic primaries. However, 17 of the winners have won in solid Republican districts, ones that are consistently red by double-digits and often house entrenched GOP incumbents. Only four congressional primary winners have won in Democratic districts and are likely to win their general election. Two of those four were already in office and were uncontested by the Party, Ro Khanna and Jamie Raskin. One of the four made a corrupt bargain with the Democratic establishment for his seat and was also uncontested by the Party, Chuy Garcia. That leaves Alexandria Ocasio-Cortez as the only progressive upset. The DNC and DCCC have systematically cheated and blocked progressive candidates by flooding races with corporate cash, knocking progressives off the ballot, feeding opposition research to the media, forcing candidates to spend three quarters of their fundraising on consultants and ads, changing the rules required to get party support, denying access to crucial voter data, endorsing establishment Democrats, setting party affiliation deadlines months before the primaries, blocking independents from voting, and even giving hundreds of thousands of dollars to Republican candidates. For more than a year after the 2016 election, the Democratic Party denied rigging primary elections against progressives. The party has now abandoned that pretense as it openly rigs midterm primaries across the country and normalizes election rigging in the United States of America. “This is why almost two out of every three Americans are now ‘desperate for a third major political party.’ Poor and working people are calling out for an alternative to the corporate parties. 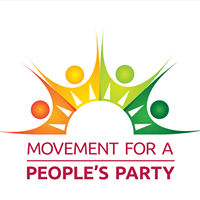 The midterm results have made it painfully clear that progressives cannot revolutionize the country by disregarding the will of the people,” said Nick Brana, founder and national director of the Movement for a People’s Party. While the media focuses on a handful of exceptions, the Democratic Party establishment is getting its way in the 2018 midterm primaries.